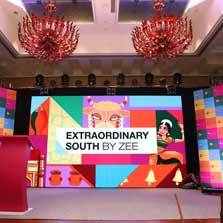 The growing portfolio of the south channel of ZEE and their strength in their markets is being showcased to Trade, A&M media in a series of events across major markets under the label of - Extraordinary South by ZEE. The states of Andhra Pradesh, Karnataka, Kerala, Tamil Nadu and Telangana, united to create an experience that was 'Extraordinary Together'. 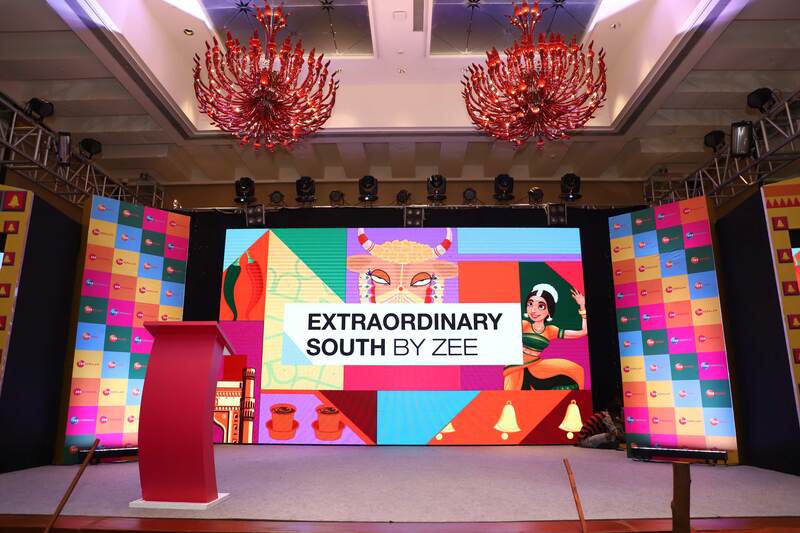 The event brought alive a rich experience of the exuberant culture, exotic flavours & vivid lifestyles of the Southern states of India and made everyone experience the South of India with ZEE! The event concluded its Delhi & Mumbai Chapters on 3rd Oct & 12th October respectively. The platform was used to establish the strength of ZEE network in the southern markets & showcase our growth trajectory across the region amidst a immersive experience of all south regions. The series of presentations and AVs brought alive the key nuances of consumer insights that shape our offerings and also the upcoming attractions for the advertisers to look forward to. Punit Misra, CEO, Domestic Broadcast, ZEEL, Prathyusha Agarwal, CMO, ZEEL & Siju Prabhakaran, Cluster Head- South Business spoke on how ZEE is the fastest growing network in south and how its contribution is highly valued in the overall network share. The event was attended by the A&M dignitaries and set a launchpad for ZEE's newest offering in South- ZEE Keralam. The next leg of the event is in Cochin on 17th Oct and will be culminated with Bangalore, Hyderabad & Chennai as its last edition.